Are roses and chocolates too mild by a mile when it comes to Valentine's Day gifts? 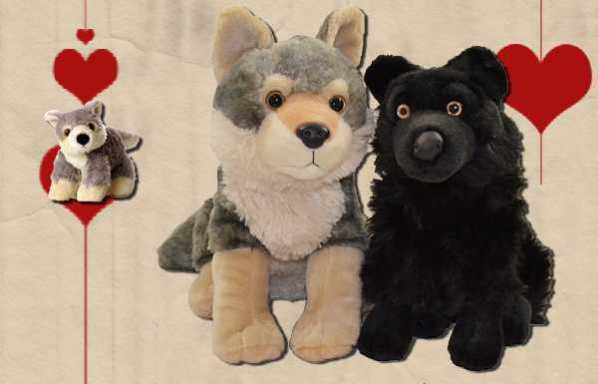 Switch things up and go wild with cuddly wolf plushies from the International Wolf Center! 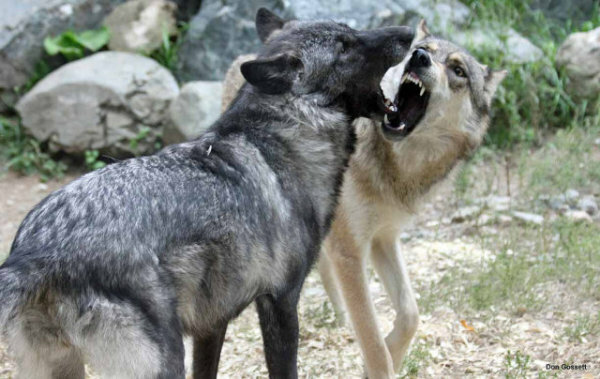 The IWC's mission is teaching the world about wolves and the staff (with help from the resident ambassador and retired wolves) have done exactly that since the facility near Ely, Minnesota was founded in 1985. While a visit to the IWC almost always leaves a lasting impression, the Center's Wolf Den Store offers dozens of material ways to enhance those fond memories. This year and just in time for Valentine's Day, the IWC Wolf Den Store is featuring cute & cuddly wolf plushies modeled after the Exhibit Pack's rambunctious youngsters, Boltz and Luna. Born in the spring of 2012, the former pups joined pack leader Aiden and his brother Denali in the exhibit pack on July 30th of 2013. Boltz and Luna have been delighting visitors to the IWC ever since. Luna, the pack's only female, is a black-phase Great Plains wolf whose coat is highlighted beautifully with silvery guard hairs. Boltz is also a Great Plains wolf though his fur displays the typical blend of earthtone shades that make these magnificent creatures so difficult to spot in the wild.